Korea's highest-grossing movie to date, with more than a half-million tickets sold on the first day and over 10 million tickets sold in the first three weeks. Director Dong-hoo Choi's high stakes heist film follows five thieves at the top of their game as they plan to plan to pull off a major Casino robbery. 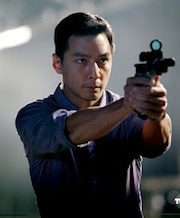 Louis Koo, Daniel Wu and Li Bingbing Star in Director Derek Yee's Action Thriller. Packed with explosive extras, including deleted scenes, director and actor interviews, a behind-the-scenes featurette, a photo gallery and an optional English dub.